As Ontario thaws out from a deep freeze and ice fishing begins to wind down, now is a perfect time for me to take a few minutes to appease Pautzke Sargent Shaffer with a Fire Blog update. Here in Ontario, anglers are getting ready to welcome warmer temps and the major migrations of spring steelhead that are just now starting to trickle into the larger rivers across Lake Ontario and Huron. If you are a Great Lakes angler and haven’t sampled Ontario’s incredible steelhead fishery than 2013 is your calling. Low precipitation levels this past fall held plenty of big water steelhead out in the lake, or in the lowest sections of home rivers. With plenty of snow pack on the ground and rainfall around the corner, this spring is looking like a banter season to come into contact with these West Coast transplants that call the Great Lakes home. Here is a primer for those looking to take advantage of the wild and hatchery runs of steelhead that call Ontario home. Starting in the west end of Lake Ontario, it’s hard to not mention the mighty Niagara River. Known for some of the largest steelhead in the province, the Niagara is a massive river with large numbers of steelhead showing up in late fall, winter and spring. Anglers flock to the big river on the border to test their skills battling chrome giants in the province’s largest river. Anglers looking to contact Niagara bullets should start their search early in the season. March and early April is prime time for both winter hold-overs and fresh migrants. Popular sections include the “Whirlpool”, Pebbly, The Glen, and the Queenston drift. The river is accessible from the Ontario shore and on New York state land across the border. Meanwhile, many of the most popular shore angling areas are located on the Canadian side of the river. Since the big river drains Lake Erie, river conditions are dependent on the water conditions in the east end. When Erie is rough and dirty, the Niagara will fish muddy. Big roe bags rule here, as do jigs, minnows and artificial plastics. Hot picks are BorX O Fire cured steelhead eggs, in hot pink and orange when Erie dirties up the lower river. Fish eggs on drift fishing rigs bouncing bottom or run slip floats deep to steelhead lying boulder strewn holding water throughout the river. Working further east along the north shore of Lake Ontario anglers will find the Credit River. The Credit is a prime example of a productive urban fishery. The river dumps into Lake Ontario in the greater Toronto community of Port Credit, within eyesight of the CN Tower in downtown Toronto. 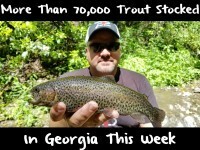 Blessed with good returns of wild steelhead and a mix of hatchery stock, the Credit is a good spring fishery. Anglers must pay attention to closed sections upriver, but year-round angling sections exist in the lower river. This is prime water for hot chromers on their spring journey. Credit steelhead gobble eggs and locals fish hot colored bags when the water is dirty, which is common during spring runoff on this metro system. When waters clear, hot picks are natural cured eggs tied in Redwing mesh or scarf the size of nickels. The Credit is a popular fishery and during the early season can be very busy. Expect to see lots of anglers, the majority of which run centerpin setups and present eggs or artificial baits under floats. East of Toronto the Ganaraska River is arguably the most popular river along Lake O’s north shore. Known in the past as having one of largest runs in the province, the “Ganny” has fallen off over the past couple decades. Don’t let that fool you, as this system pumps out plenty of wild steelhead and hatchery strays. The Ganny also has a large portion of closed water, which opens in late April with the general trout season. However, as with many tribs, the lower section includes an all year angling area. The lowest sections of the river start turning out big numbers of fresh fish in early March. Once river temps start to climb to towards 40F, steelhead start their upriver climb fast! Fishing the productive water in the town of Port Hope provides anglers access to fish that are fresh out of the lake and willing to strike properly present steelhead eggs tied in bags. Once the spring opener comes about in April, the upriver section above the 401 Highway is popular. When it comes to Huron, no river matches the returns of steelhead like the Saugeen. The Saugeen River dumps into Huron on the western side of the lower Bruce Peninsula. With over 80 miles of river accessible to migrating steelhead, the “Geen” provides some incredible angling opportunities and arguably the largest runs of steelhead in the province. The all year angling area in the lower river is by far the most popular stretch of water. Here, fresh chrome spreads out in the 3-mile stretch between the lake and Denny’s Dam. Shoulder to shoulder is the best way to describe the crowds when the fish are on the move, but it doesn’t matter when anglers are hooking up with double-digit numbers of chrome each day. Popular stretches include the Dam Hole, the Abutments, the Graveyard and the Kennels. Once the spring opener rolls around in late April, the upriver sections are fair game and wise anglers divert their attention to the miles upon miles of solitude the “upper” has to offer. With such a large watershed that flows through farmland, the Geen can get dirty after spring thaws and rain events. Wise anglers fish larger “bags” cured in hot colors such as pink or orange. Once the water clears, natural cures and small bags rule. The Geen is also a hotbed for the ever expanding “bead-bite” and is becoming a popular trib for spoon fisherman. Huron east of the Bruce Peninsula is considered Georgian Bay, and G-bay is home to plenty of tributaries that have good returns of wild chrome. The most popular of the G-bay tribs is the Nottawasaga River. The “Notty” is a wild steelhead factory and a very productive fishery for those who can read its water. Known for sand banks and pine lined shorelines, the Notty will test your tackle and your skills. The lower end of the river incorporates an all year angling section. This stretch is popular in late March and early April as spring migrants pour into the river. Small bags and flies rule on the Notty, and spring flows are often muddy. Hot cures catch fish here and those who find water away from the more popular access points can have very productive days. Pay close attention to the regulations, as the Notty has plenty of “special regs” to protect a predominantly wild fishery. On the northern end of Huron lies the St. Mary’s river. The St. Mary’s is effectively a short stretch of large rapids, which drain Lake Superior. The “Soo Rapids” as steel junkies know it, is a unique fishery like nothing else on Huron. Shallow, cold, clear and fast describes the rapids. This short stretch of productive water experiences a very late spring steelhead run due to the incredibly cold water from Superior. 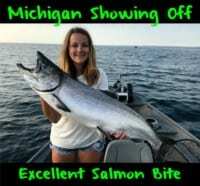 Anglers can expect fresh fish well into May, once most rivers across Huron have already seen their steelhead come and go. The Rapids is a big-water fishery that attracts anglers with the opportunity to hook fresh fish on both conventional, centerpin and spey gear. Bait anglers do well on natural cured roe tied in small dime size bags due to the clear water. Learning how to read fast water pays off in the Soo. Pocket water abounds, as do deep slots and plenty of broken holding water. Wade carefully, a dip in the Rapids is never a good thing. 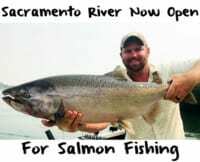 The Rapids is an all year fishery with minimal special regulations. If you have never fished the river before, a wise choice is hiring a guide to help you read the water on this short, but massive flow. Ontario has some incredible opportunities for those who love to chase steelhead. Expect larger fish on the Lake Ontario systems, however many of these rivers are quintessential urban fisheries. Lake Ontario tributaries can produce mind-boggling numbers over the course of a day. Anglers looking for more a more wild setting often make Huron and Georgian Bay Rivers their primary destination. Plenty of options exist outside of the six fisheries mentioned. Ontario has strict catch and possession limits for steelhead due to the ever-increasing emphasis on wild returns. Anglers looking for a truly remote experience should check out Lake Superior Region rivers where steelhead runs start late in the spring as Old Man Winter tends to hold on well into April and sometimes May. Superior steelhead average 4 to 6lbs and Ontario runs are totally dependent on wild returns as no stocking takes place on the Canuck side of the lake, so expect much lower returns. Non-Resident angling licenses are fairly cheap in comparison to Pacific fisheries in the U.S. and Canada. Travel between Huron and Lake Ontario tribs is efficient through numerous highways, short travel intervals and a major, central destination such as Toronto. Check out the Trillium Province when planning your next steelhead destination. You won’t be disappointed. -Camera with lots of SD cards!